Capped by a negative trend line. Short positions below 1290.00 with targets at 1282.50 & 1279.00 in extension. 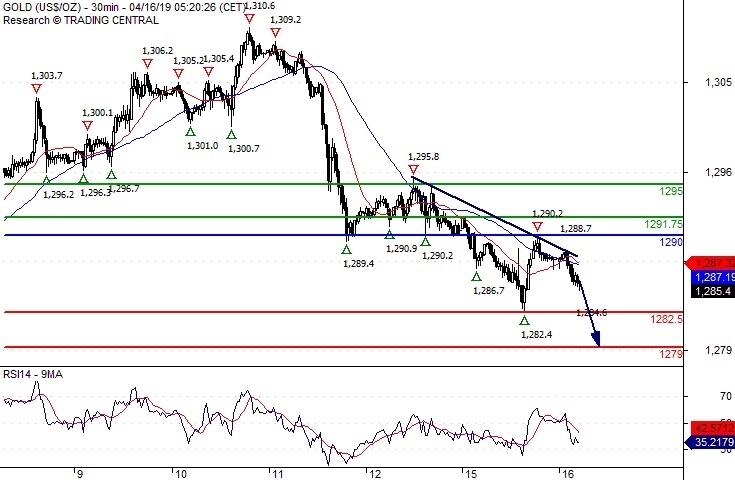 Above 1290.00 look for further upside with 1291.75 & 1295.00 as targets. The RSI advocates for further downside. Short positions below 15.0300 with targets at 14.8300 & 14.7800 in extension. Above 15.0300 look for further upside with 15.1000 & 15.1600 as targets. As Long as 15.0300 is resistance, expect a return to 14.8300. Short positions below 63.60 with targets at 63.05 & 62.75 in extension. 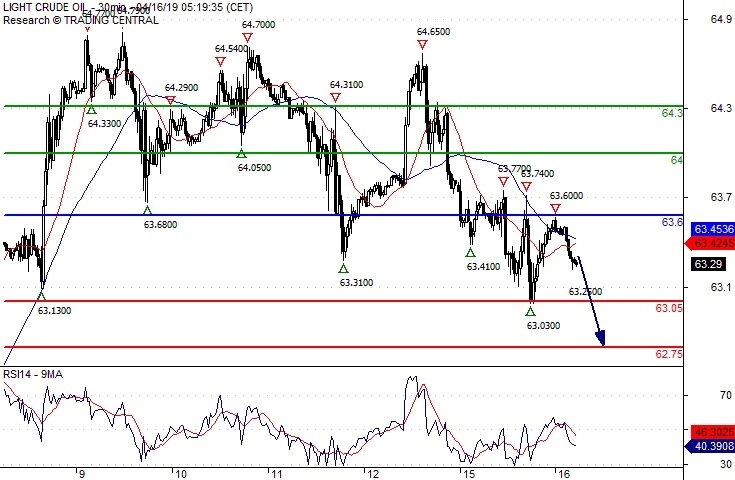 Above 63.60 look for further upside with 64.00 & 64.30 as targets. The RSI is bearish and calls for further decline. 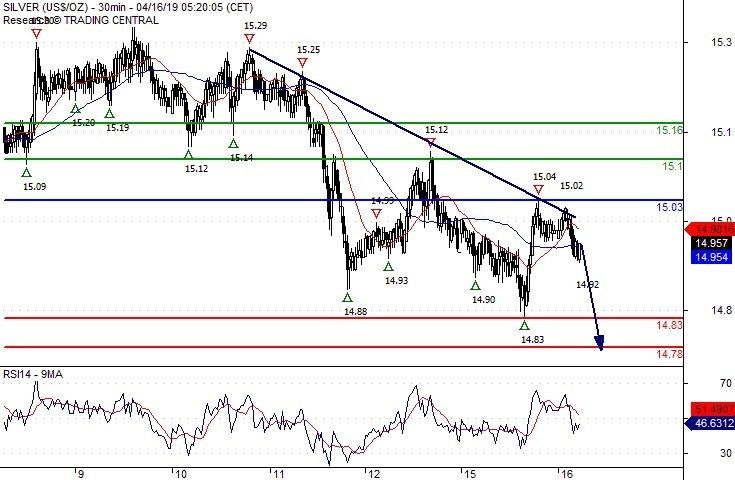 EUR/USD Forecast: After escaping overbought conditions, is it ready to rally?